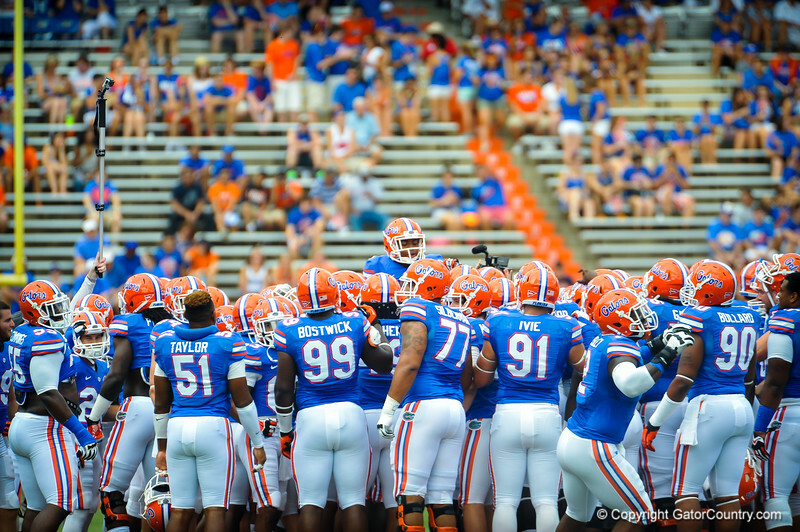 The Gator football team meets at midfield. Gators vs Tennessee Volunteers. September 21, 2013.